Convert SVG to TIFF raster images online in a few clicks! 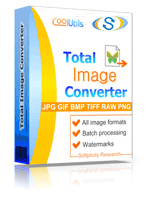 Try a SVG to TIFF Online Converter or get a batch Tool for quick use! Description SVG is a vector type of graphics, such files provide excellent data compression within the small file size. It provides scaling up to any size without loss in quality, supports various filters and interactivity. This format is aimed at storing either vector or vector/raster graphic data in XML code, supporting animated graphics. SVG files are actually text image description that can be edited and read in text editors. They are less in size than JPEG or GIF copies of the same quality. Description TIFF is one of the earliest file formats for bitmap images, but it is still one of the most popular. It supports various resolutions and can be opened on any platform. Usually it stores large images with good quality, but not text or vector data. But it can include additional tags to identify an image. TIFF format is used in graphic and 3-D imaging applications, scanning and faxing software.